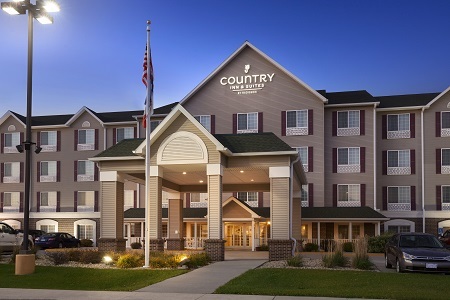 Located at the tip of the state just 10 miles south of the Minnesota border, the Country Inn & Suites® by Radisson, Northwood, IA provides a convenient place just off I-35 to stay the night. Diamond Jo Casino, the area’s prime entertainment destination, is connected to our hotel and features gaming and concert venues. If you had a successful night at the poker table and need a secure place to keep your winnings, reserve one of our safe-deposit boxes. Start the day with energy-boosting items like biscuits and gravy or a yogurt parfait from our free, hot breakfast. Choose from other morning favorites like fresh fruit, eggs and cereal before heading out. For lunch and dinner, Northwood offers several restaurants connected to the hotel and within a 10-mile radius, such as Woodfire Grill and Worth Brewing Company. Diamond Jo Casino – The area’s main attraction features card tables, an exclusive poker room and more than 1,000 slot machines. 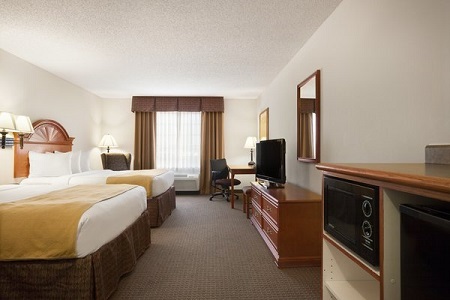 Hotel guests can simply walk to the adjacent facility for a night of gambling, musical entertainment and live comedy. Top of Iowa – This rest area and welcome center is less than half a mile south of the hotel and offers picnic tables, grills and a wealth of travel information. The Barn Boutique carries “Made in Iowa” treasures, perfect for visitors desiring a unique souvenir. Kuennen’s Quarry – This limestone quarry once provided rock to build I-90 and is now a delightful park nine miles from the hotel. The quarries are stocked for fishing, and swimmers enjoy the clear water with visibility that goes about 20 feet deep. 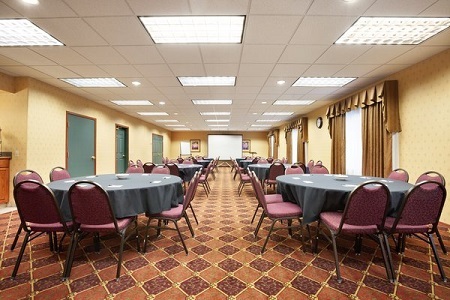 Our event space, which spans over 1,200 square feet and accommodates up to 75 guests, is a perfect choice for your next business meeting or social gathering. 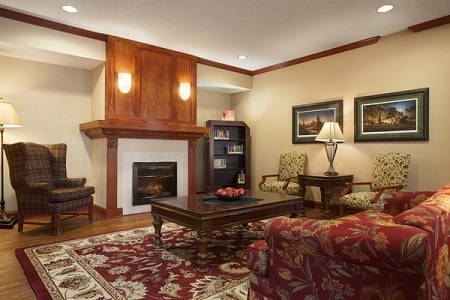 Our location off I-35 and next to Diamond Jo Casino provides easy travel and thrilling entertainment. We also offer audiovisual equipment and catering services to ensure your event’s success.